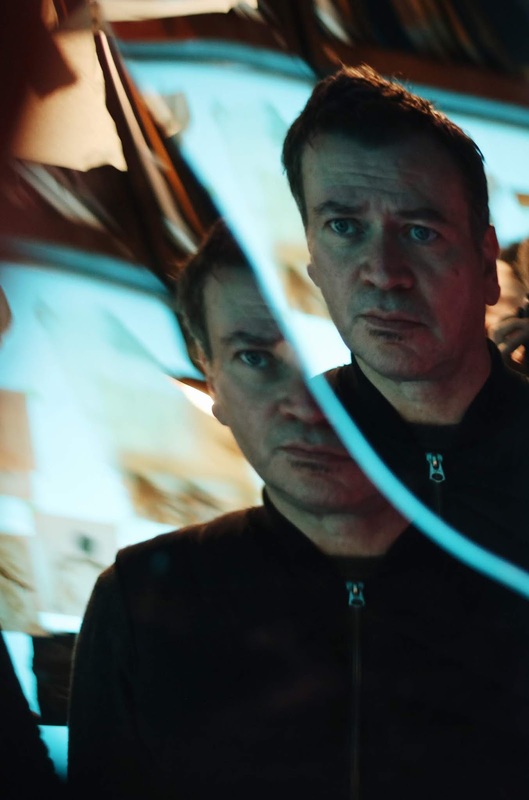 I don't recall ever seeing Steve McLean's earlier film, Postcards from America, but it has been 24 years between that one and his latest work, POSTCARDS FROM LONDON. 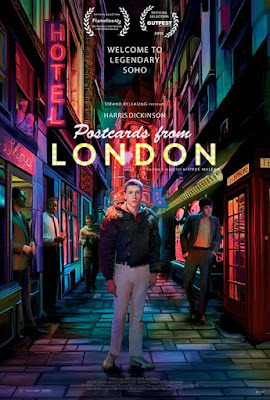 The latter is an unusual movie indeed: heavily stylized but never abstruse, with content that tracks the oddball coming-of-age of the film's hero, Jim, who is itching to leave his suburban British home and make his way in the world via the bohemian haunts of Soho. How he does this, who he meets, and the way in which fine art figures into the equation -- in so many ways --makes for a movie that does not compare with much else that TrustMovies has so far seen. Mr. McLean, shown at right, clearly means his movie to be highly visual and lots of fun to look at. He has succeeded mightily at this, from his palette of day-glo, neon colors to his cast of handsome men, both young and older, and cinematography (by Annika Summerson) that has a consistent eye for composition, and editing (Stephen Boucher) that crisply and smartly weaves these 90 minutes into a generally enthralling whole. 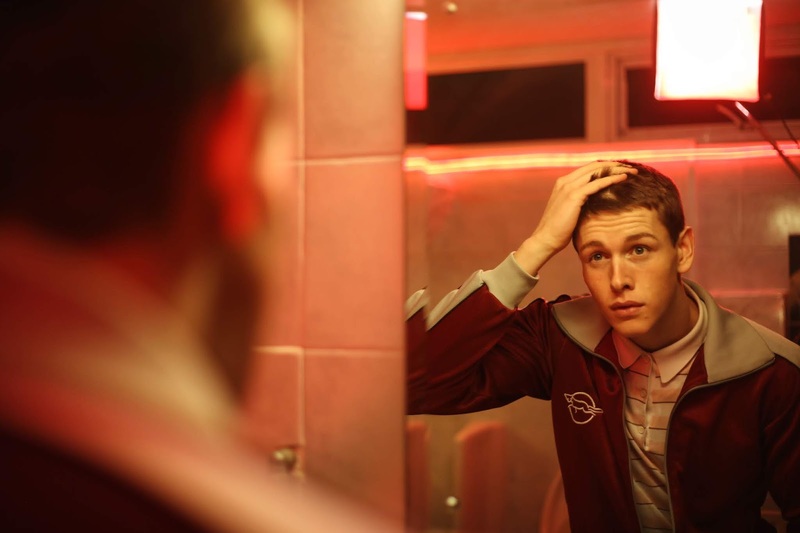 As the movie's hero, British actor Harris Dickinson (below, of Beach Rats) proves himself capable of physically and facially carrying the load of oh-my-god-isn't-he-beautiful! baggage that the screenplay (also by McLean) has inflicted upon him. While this might be difficult to live up to, Dickinson, via his innate liveliness and enthusiasm, not to mention his face (above) and body (below), easily carries it off. I do wonder why, since much is made during a photo shoot, of our hero's male endowment, McLean refuses to give us the full-frontal shot that seems both welcome and necessary (even if a body double were required here). It is not as though we're currently living in censorious times (the movie is being released un-rated, in any case). The major part that art plays within the whole is also worth contemplating. The movie opens with our boy at a London museum, where the sudden sight of a beautiful Titian painting makes him woozy-unto-fainting. Yes, as we later learn, this is the famous Stendhal Syndrome, which figures into things more heavily as the film moves along and is used in a particularly clever manner (certainly better than Dario Argento managed it in his mostly silly, eponymously-named mystery movie). We get some references to Francis Bacon but mostly we hear about (and even see) Caravaggio, during the fantasies that Jim experiences whilst under the influence. 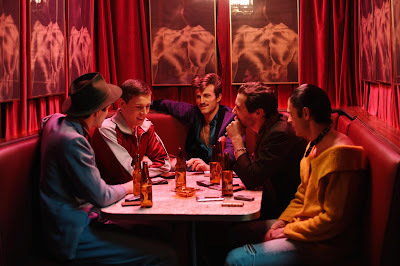 The quartet of upscale rent boys (above) with whom Jim falls in are brought to pleasing life, as are the older clients Jim finds himself servicing -- in a decidedly unusual manner. Art comes into even this quite interestingly, too. 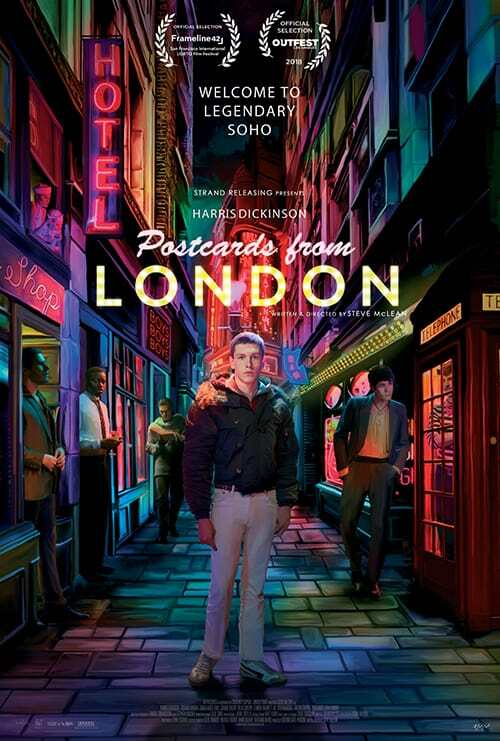 In all, Postcards from London proves a very pretty, charming and entertaining look at young man's unusual coming of age. It's not what you would call deep or particularly moving in any manner. Yet it offers up a very welcome look at gay life (that is not time period-specific), sexuality and the uses of art -- without guilt or shame. 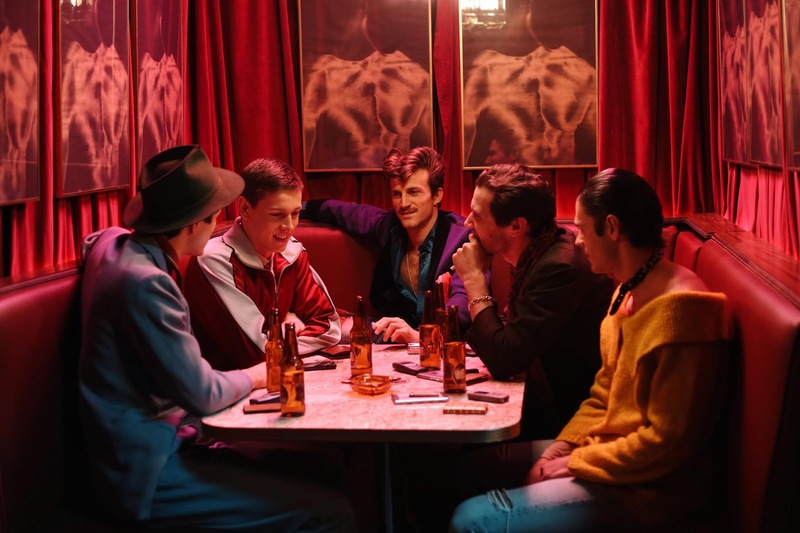 From Strand Releasing, after a nice run of various GLBT film festivals, the film opens theatrically in New York City at the Quad Cinema this coming Friday, November 9, and it will hit Los Angeles on Friday, November 23, at Laemmle's Music Hall 3. I don't find other cities on the agenda as yet (click here, and then click on Screenings halfway down the screen, for the latest playdates/venues), but there will certainly be a DVD and/or digital streaming available eventually.